No complicated #cooking in my kitchen! Simple,fuss-free dishes made with love & a dash of spice! blogger on how to cook Indianfood & Use spices with ease! The post A Dummies 5 step Guide To Cooking With Spices appeared first on Spiceitupp. The first word associated with Indian cooking is Spices!! Knowing and adding the right spices to food can be a bit daunting for those new to cooking with spices. 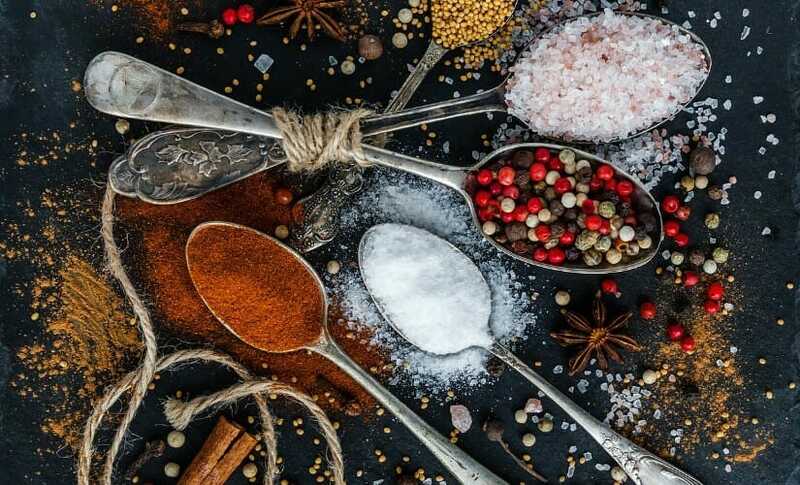 Most of us are familiar with common Indian spices like cumin powder, coriander powder, turmeric powder; but it gets a bit challenging when it comes to more complex spices listed in a recipe. Where do I buy the spices from? How do I use it for cooking and when do I add them? What is the purpose of the spice so that I can reuse it again? Maybe knowing the Indian name will help source the spice from an Indian store. This handy list of the most frequently used top 28 Indian Spices may help in answering most of these questions. 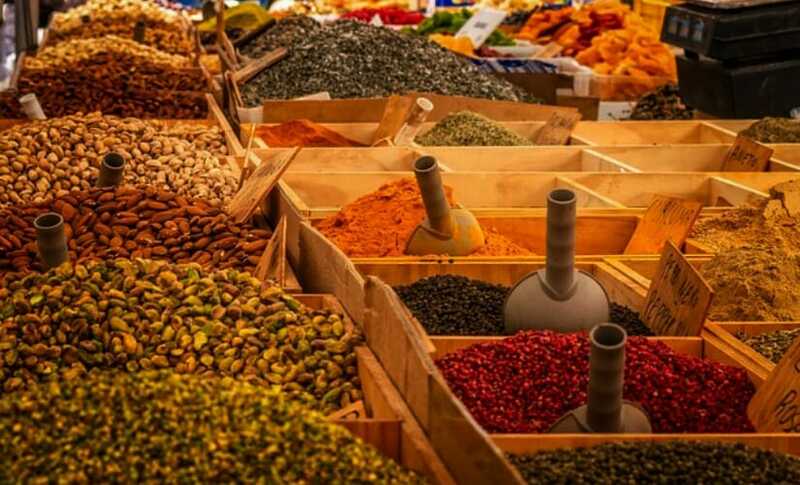 Use this list of Indian spices with the picture of the spices as a quick reference guide that clarifies different spices and their use in cooking, ie, does it add flavour, colour or taste. 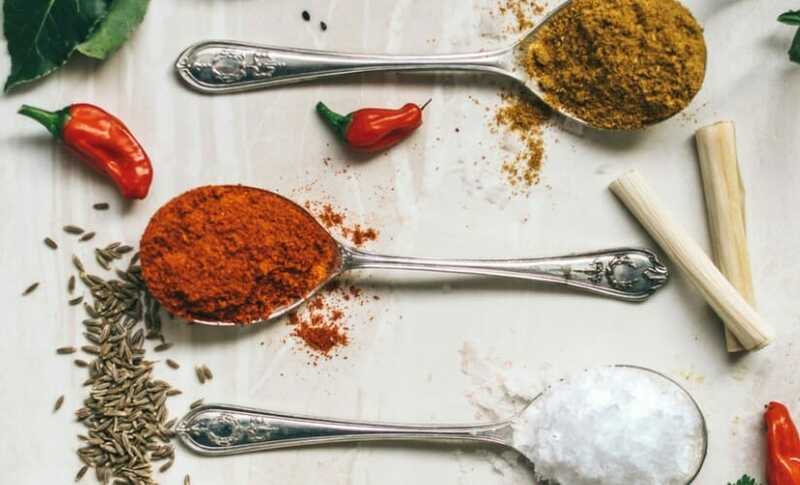 If you have had the opportunity to step into an Indian kitchen, you may feel like being transported to a tiny spice world seeing the display of spices in the cupboard. Just the mere sight of them sends question signals, ‘do you actually use them all?’. And the answer to that is a merry, jolly, spicy ‘YES’, and that too without requiring a spice list for a guide. Spices are at the very heart of Indian cooking and in any Indian household. That’s what gives most dishes that delectable flavour and depth of taste. Over the years of teaching Indian cooking, the one common query I get asked most often is about buying and using spices. I present the attendees with this list of Indian spices which has proved to be helpful. Spices come in many different forms. Each form has a different purpose of use and renders different taste to the dish. The purpose of this post is not to confuse you further with the forms and use, you can read my Stepwise beginners guide to using spices for cooking Indian food to help you understand better. For many, cooking with spices can be rather confusing and overwhelming. This either makes them buy a lot and not know what to do with them or not buy at all and play it safe. To get over your spice dilemma, here is a spices list of top 28 commonly used spices in alphabetical order. Consider this as a bucket list to help you begin with your spice collection. There are hundreds of spices, but for starters, I am listing the most popularly used spices for cooking Indian food. You surely do not need all of them but do go through the spices list for future buys. You can also use the commonly used spices for adding additional flavour to your pies, stews, broths, soups, marinades and many more. This post on the best spice combinations will give you ideas on how to reuse your spices to make different meals. Take a print out of this list and pin it on your fridge for a quick go-to spices list. Hing Flavouring agent for the dish. Tej Patta Aromatic ingredient for rice and other Indian dishes. Also used as part of spice blend. Moti Elaichi/Badi Elaichi/Kali Elaichi Aromatic and flavouring agent for many Indian dishes. Also used as part of spice blend for gravies, rice and dessert dishes. Kali Mirch Important taste and flavouring agent in majority of Indian dishes especially south Indian preparation and to make spice blends. Ajwain Flavouring and taste enhancing ingredient for different dishes. Especially used for fried savoury dishes and breads. Dalchini Taste and Flavouring ingredient. Imparts a sweet aroma to the dish. A basic spice used in different masalas and spice blends. Sticks can also be used in some rice and curry dishes. Laung Important flavouring and taste enhancing ingredient for different dishes. Popular ingredient used in numerous Indian spice blends. Sabut Dhaniya Base ingredient for different type of tadkas (tempering). Taste and Flavour enhancer for various dishes. Popular ingredient used in numerous Indian spice blends. Dhania powder Taste and flavour enhancer for various dishes. Used in most Indian dishes for the main base sauce. Chat Masala Taste and flavour enhancer for various savoury street food style Indian dishes and snacks. Sabut Jeera Base ingredient for different type of tadkas (tempering).Flavouring agent for many Indian dishes and rice preparations. Used in most Indian dishes for the main base sauce. Also used in numerous spice blends. Jeera powder Taste and flavour enhancer for various dishes. Used in most Indian dishes for the main base sauce. Kadi Patta Base ingredient for different type of tadkas (tempering).An aromatic herb used to enhance flavour for mostly vegetarian dishes. Highly used in Western and South Indian cuisine. Kasuri Methi Dried herb used to enhance flavour and tatse to the dish. Used commonly in Punjabi or North Indian cuisine. Garam Masala POwder Very popular Indian spice blend made with many differen spices. Used in most Indian dishes. Methi Dana Base ingredient for different styles of Tadkas (tempering). Can be used in spice blends. Javitri A very aromatic spice used as a taste and flavouring agent. Commonly used ingredient in most North Indian spice blends. Used for making special regional dishes such as biriyani, dum alu etc. Sarson/Rai Base ingredient for different styles of Tadkas (tempering). Also used to make mustard base sauce. Very commonly used in Eastern and Southern Indian dishes. Kalaunji One of the base ingredient for different styles of Tadkas (tempering). Flavour enhancer for many Indian dishes. Used in Indian snacks, breads and savoury dishes. Jaifal A very intense flavouring agent for speciality dishes. Commonly used ingredient in most of North Indian spice blends. Khas Khas Used in some regional blended masalas for its taste and flavour. Also used as paste to thicken sauces. Very commonly used in Eastern region of India. Lal Mirch Most important spice to add heat to dishes. Large amounts also imparts a subtle red colour to the dish. Kesar/Keshar Colouring and flavouring agent to speciality savoury dishes and desserts. Imparts an aroma to the dish. Chakra Phool/Badiyan Aromatic and flavourful spice mostly used in various spice blends. Can be used in Pulaos and other special gravies. Imparts a delicate flavour to dish. Imli A sour taste and flavour enhancer mainly for gravy based dishes and chutneys. Haldi Powder Colour enhancer and Anti-Bacterial ingredient in different marinades. Used in many spice blends. 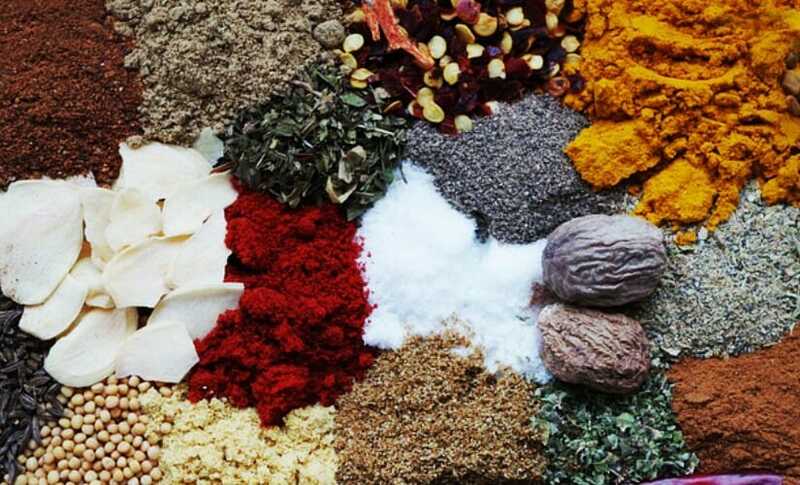 The post 28 Most Common Indian Spices List and Their Uses At a Glance appeared first on Spiceitupp. When it comes to cooking any regional cuisine the right ingredient is what makes a dish authentic. But what if you are unable to get those ingredients? Is there no way to make that lovely Rogan Josh recipe?!! Do you skip making a dish after going through the list of ingredients just because you don’t have it? Do you ever wonder what the possible spice substitute would be in case your nearest supermarket does not stock them? The good thing about working with spices is that they are not always a MUST have ingredient. There is a way around it, yet maintaining authenticity. What is the right amount of substitute to be used without compromising on taste? It is given that the base of Indian cuisine is the use of spices. After all, can it be an Indian curry without cumin powder, coriander powder or turmeric? 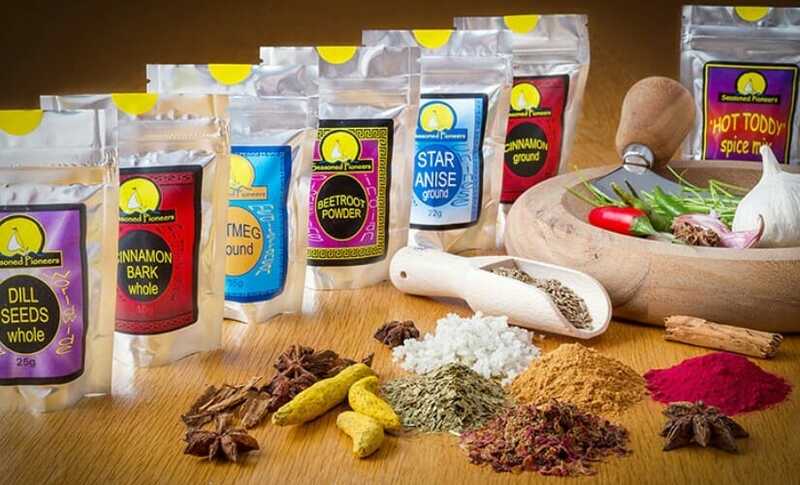 Would you not then make a curry because you don’t have one of the spices listed or may be intolerant to a spice or simply dislike a particular strong spice? The average Indian dishes have a minimum of 7-9 ingredients out of which 3-4 may be just spices. Given that there are different ingredients that go to make an Indian dish, it effectively gives you the flexibility to use alternative spices. This can only be possible if the ingredient, in this case, the spice to be substituted is not the key or the main element of the dish such as pepper for making pepper chicken or mustard for a mustard-based gravy. As long as the spice substitute has some of the characteristic elements of the listed spice it is absolutely safe to either alternate the spices or omit them completely from the dish. It is, however, important to note that few spices have a characteristic flavour profile which may be a challenge to replicate. In this case, the dish will tend to lose a degree of its authenticity. What is The Right Amount of Spice Substitute That Should be Used? Although I am stating that you have the option of going for an alternative substitute for the spice, but should you be replacing the exact amount? This question is a bit tricky to answer since there are many factors that depend on what should be the correct replaced amount. Not all spices have the same level of taste or flavour. Some spices have a stronger flavour profile compared to others. If your chosen substitute is stronger to the actual spice then you will need to use that in less quantity while a spice with subtle taste may need larger quantities to be added. Understand the taste and the flavour quotient of the spice you will be using as a substitute before you add to balance the taste. Sometimes similar flavour can be derived from using fresh ingredients such as onions, ginger, garlic or fresh herbs. Not all spices can be substituted with another spice. When you do use fresh ingredients, you are likely to use them less in quantity to the dish to balance the required taste. We do have a tendency to overlook the proportion of the number of heads we are cooking for when following a recipe. The quantity of raw material used should represent the number of people you are making the dish for. Ensure that the amount of raw material to spice replacement is in proportion. Few may also need to look for spice substitute because of an eating lifestyle, intolerance/allergy or simply a personal dislike to a particular spice. Having the alternatives and substitute works in their favour so that they do not have to compromise on the taste or try the dish. It is a good idea to choose alternatives which suit your purpose. 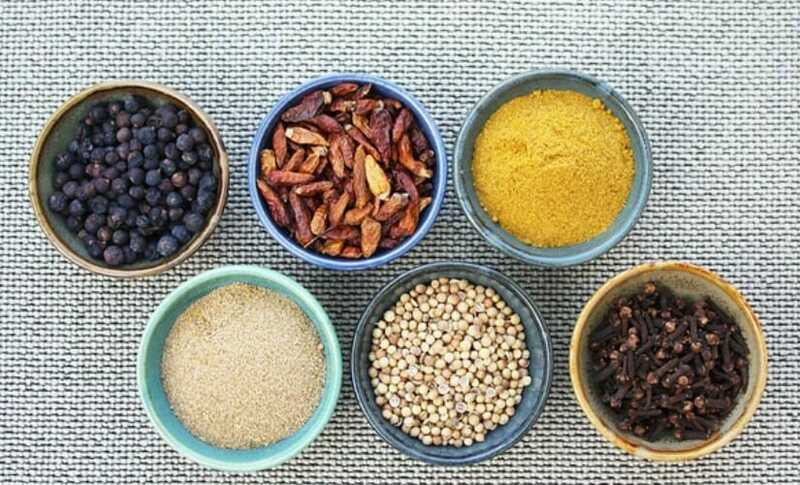 Keeping the tips of substituting spices while retaining the originality of the recipes, here is a list of spice substitutes for some of the most commonly used spices. Thanks to the convenience of online shopping, you can easily buy the original spices. Click on the click or image of the spices to buy them online. Typical Ingredients – Black peppercorns, toasted coriander, toasted cumin, allspice, sweet paprika, green cardamom pods, cloves, cinnamon, nutme. What is it – An ancient blend of spices which may have its origin linked back to Biblical times. A multipurpose, aromatic spice blend to many Middle Eastern cuisines its usage is unlimited. Each region or household make their own versions on the blend but few spices such as sumac, oregano and sesame seeds are mostly the standard ingredients. Taste – Non spicy and aromatic with subtle earthy and citrus undertones, and just a hint of nuttiness. Uses – Using to sprinkle over breads, flavour up dips such as hummous, yogurt etc. It can be used as a seasoning for beef, lamb, chicken, seafood, and vegetables. Can also be used as a dry rub or marinade. Popularly used to season olive oil. What is it – The word “hawaij” simply means “mixture,” and is used to make a blend of spices. There are two different versions of hawaij that is used in Yemeni kitchen. One is a savory hawaij spice blend used for soups and stews, while the second aromatic blend is used for coffee and baking. Be sure of which one you buy as the one used for soups may have turmeric, onion powder and cumin while the baking version uses aromatic spices. Taste – Non spicy, aromatic and earthy. Uses – Savoury Hawaij can be used for chicken soup, meat stews, beans and vegetable dishes. Baking or Hawaij for coffee is used to make coffee, milk based drinks, cakes biscuits and other desserts. The post 4 Fabulous Middle Eastern Spice Blends appeared first on Spiceitupp. The post 5 Most Popular Indian Spice Blends appeared first on Spiceitupp. The post 3 Latin American Must Have Spice Blends appeared first on Spiceitupp. The post Bring Oriental flavours with these 7 Pan Asian Spice Blend appeared first on Spiceitupp. The post 7 African and Meditteranean Spice Blendsto Spice Upp Any Dish appeared first on Spiceitupp. The post Curry Powder Vs Garam Masala Powder appeared first on Spiceitupp.